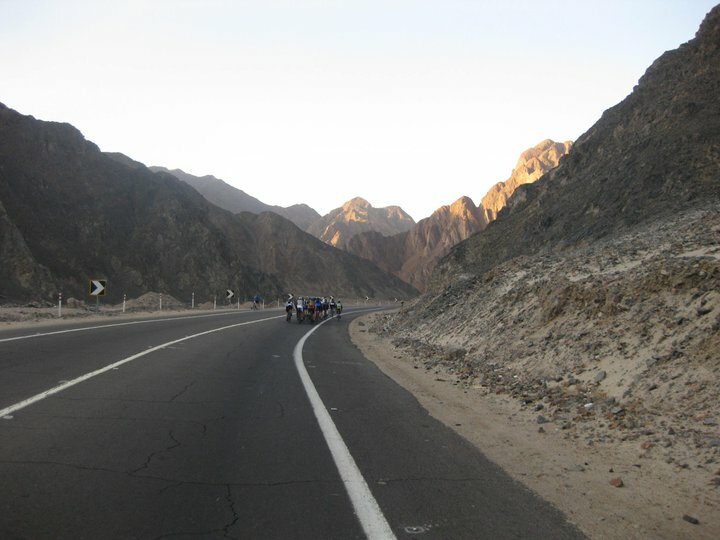 I can’t really believe that I have just cycled through the whole of Egypt. It has been an intense experience. And in the midst of it all, you are being bombarded with the sights and sounds of Egypt, snatching photos and conversations by the roadside. At lunch yesterday I talked to a group of about 12 girls aged between 8 -10 who were mesmerised by our lycra clad group stuffing down falafel sandwiches, followed by nutella sandwiches and they asked two very good questions: Don’t your legs hurt? and Why are you doing this? 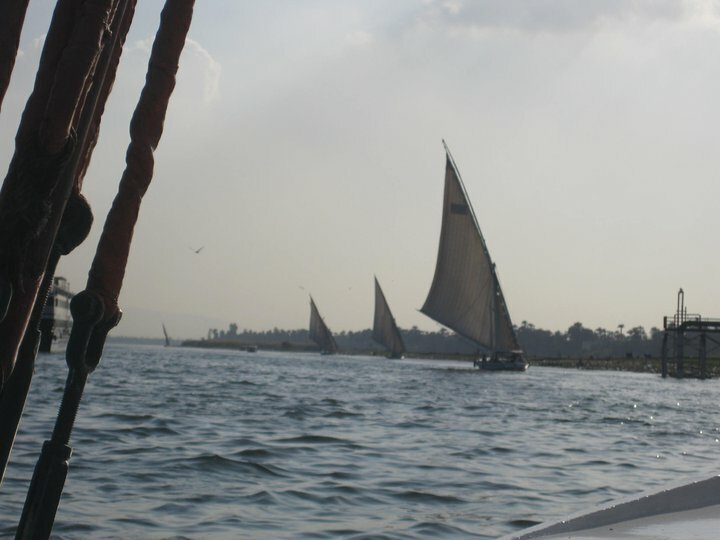 Now we are in Aswan, with parades of elegant feluccas sailing down the Nile, and a great laid-back market where we need to go and buy food and water for the next couple of days. Tomorrow, we get on the ferry to cross Lake Nasser into Sudan. We have been warned that it could take most of the day to load us on and then an 18 hour sail and we are in to country 2. I hope to ride this one in next few years. I will follow you as I am a “local” from Congleton. 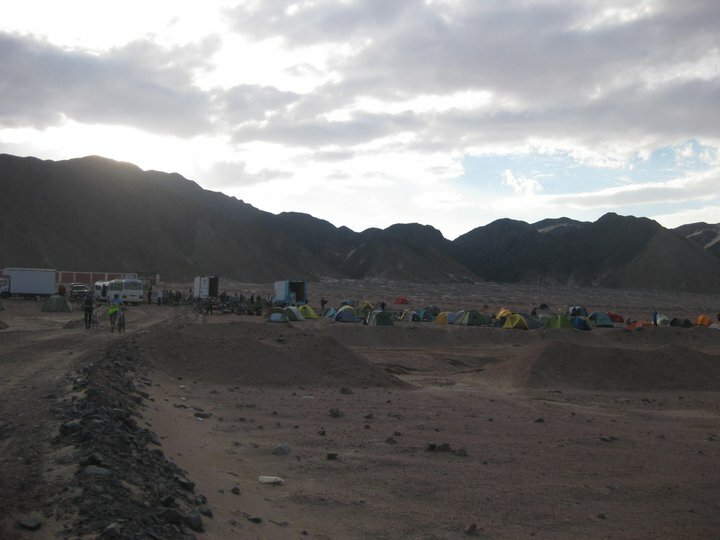 I started the Andes Trail last August but had a tumble in Bolivia and had to drop out, but I know what you are experiencing with the tent and flies! I have sandflies here at home, but some of the ones we had there were real 1mm vampires, hope you don’t have too much trouble from them. I know people may think your mad but I can understand you wanting to complete a challenge like this. Enjoy every minute of it and take as many photos as you can. Yes, your body will cry out for you to stop on occasions but rest days are so pleasurable when they come along, so savour them. Remember – If you can sit don’t stand, and if you can lay down don’t sit! Resting whenever you can is important, keep hydrated and eat well, all the very best of luck over the next few months! It’s great to read your updates and think of you making your way down through Africa. I do hope the Sudan is OK though!